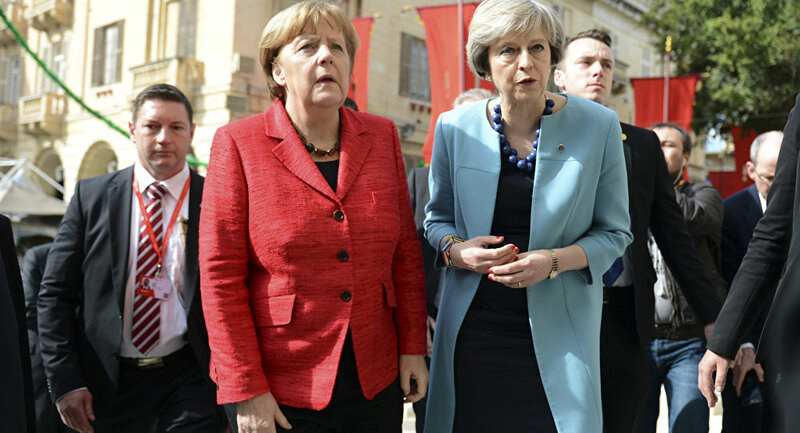 Elmar Brok, a representative of Angela Merkel's Cristian Democratic Union (CDU) in the European Parliament said in an interview with German FAZ that a second Brexit referendum in December or January may avert the imminent threat of a hard Brexit as the March 29, 2019 deadline approaches. He also warned against organizing a vote in the UK on a finalized Brexit deal as it "could only make things more difficult" if the deal gets declined. The MEP also scolded the EU's tactic back in 2016 for non-interference with Brexit referendum. He believes that it would have been better if the bloc meddled in the campaign in order to refute "Brexiteers' lies," although he admitted that it is too late for such things now. The UK is due to leave the EU on March 29 next year, but is yet to finalize a transition deal and agree on the outlines of a longer-term trade relationship with the EU. It case Britain fails to do so, a no-deal scenario may be implemented. The parties are currently negotiating the issue of the Irish border, trying to avoid a "hard border" scenario and the format of future relationships. The arguments about future relations have already led to several resignations in the UK Cabinet, as some of the ministers disagreed with Prime Minister May's vision for the final Brexit deal. As he resigned, former Brexit minister David Davis said the current direction of the talks puts the UK in a "weak position." Recently appointed Foreign Secretary Jeremy Hunt has urged the sides to reach a "sensible outcome to the Brexit talks" and avoid the no-deal scenario. He noted that without a "pragmatic" deal jobs will be lost on "both sides of the channel."